The Philadelphia Flyers made a surge into the wild-card race over the past two months but, sitting eight points back of the final playoff spot with six games remaining, it appears the team will fall short of the postseason. The Flyers missed out on another chance to try to gain ground Sunday in a 3-1 loss to the Washington Capitals and forward Jakub Voracek said that's been a familiar feeling for the team. The Flyers, who fired head coach Dave Hakstol 31 games into the season, have posted a 17-9-2 record since the all-star break under Scott Gordon, but failed to overcome their slow start. The Flyers were eliminated in the first round of the playoffs last year and have reached the second round just once since Voracek joined the team in 2011. He secured his third straight 20-goal season with the lone tally in Sunday's loss but was struggling to find the positives post-game. Hakstol was fired shortly after Chuck Fletcher was named general manager of the team in December. 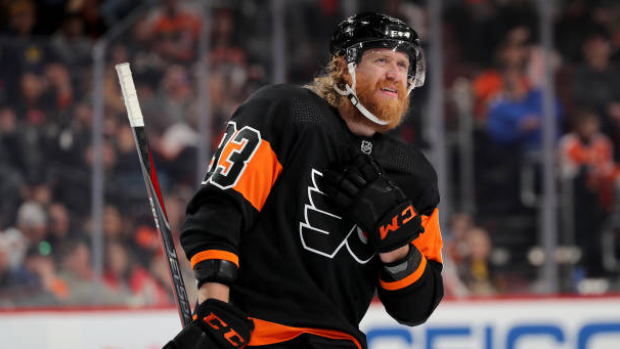 Fletcher is expected to be aggressive in his first off-season with the team this summer, though Voracek shied away from giving his advice on what changes are needed.